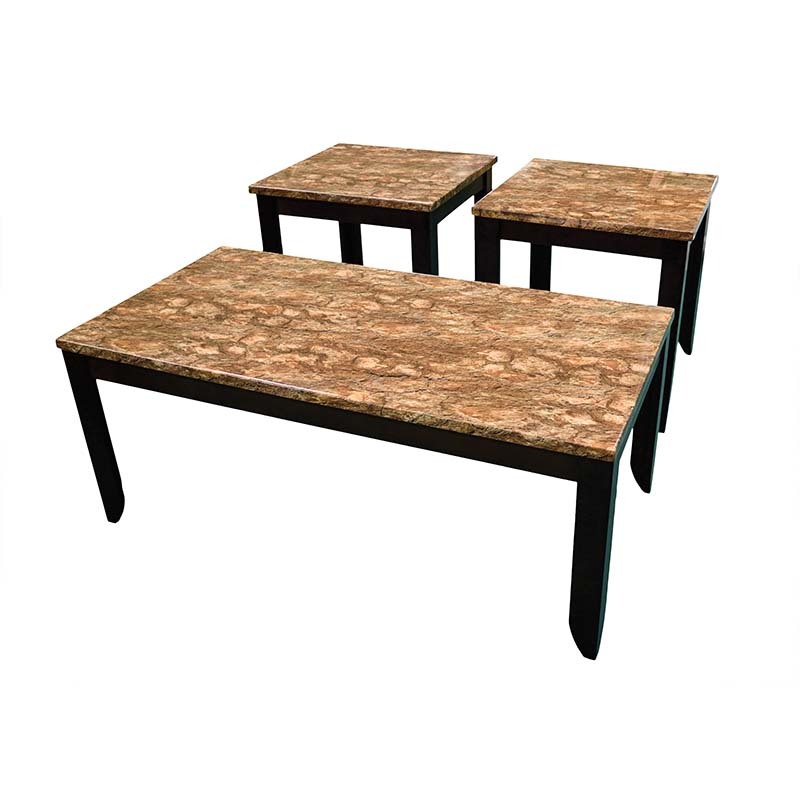 Named for their sand-colored and bark-patterned faux marble tops, the Desert Barkstone Tables stylishly serve a practical purpose. Each richly toned topper rests on Espresso finished legs. Set includes 2 end tables and 1 coffee table.